Care for Cambodia has been in operation for over 20 years. Through those years our organisation has grown from small beginnings and we have seen adults and kids alike develop into mature, value-adding members of society. We are especially proud when we see those we have invested in return to invest in the next generation. We often tell the recipients of our help that we aren’t giving charity, but are investing in them and investments need to bring a return. Their payback is not to Care for Cambodia, but to their communities. One of the conditions of our university scholarship program is that each scholarship recipient needs to volunteer several hours each week to the benefit of others. Care for Cambodia has signed up to the Ethical Storytelling Pledge. This means that we try only to tell stories that give dignity to the subject. We aim to focus on good news stories of hope and development and not stories of poverty, despair, neglect or abuse. Sadly, it is often these negative stories which lead to successful fundraising campaigns but despite that, we believe that our subjects deserve the same dignity and privacy that we demand ourselves. We will never publicly release the full names, locations or private information of those we serve. Any photos we display are only with the subjects consent. Napha has a wonderful testimony, we helped him a little but the recognition must go to him for his drive and desire to get to where he is today. He is a great example to other young people in our projects. Sokly has worked in Sensok province for over ten years. It was our first ever children’s projects and has now grown to consist of over 130 children – 13 of whom are now in their final year of school. This is a fantastic achievement and is a result of years of hard work. We know Sokly well though – she won’t be satisfied with this! SreyNich joined our Children’s Project as a 6 year old. All her siblings had dropped out of school. 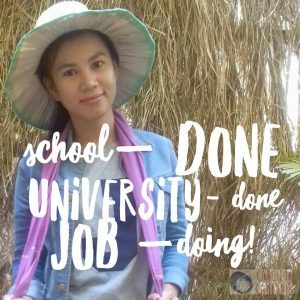 With our help she has continued through to Year 12, successfully applied for a Care for Cambodia scholarship, graduated university and then successfully applied for a job leading the Children’s projects for us. 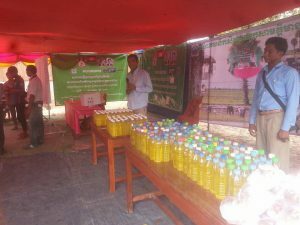 After our Family Project led a workshop on making washing-up liquid as micro enterprise, our Kampong Thom provincial leader adopted this in his home are. His Family Project now has a small community business making and selling washing up liquid, bringing much needed income to families in need. 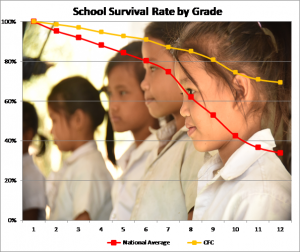 The graph below shows the impact of our projects on school retention in Cambodia. Care for Cambodia children are more than 50% more likely to remain in school than kids not in our projects!